and instead of taking photos of Wyatt on Christmas morning** (because hello, Whitney! baby's first Christmas! 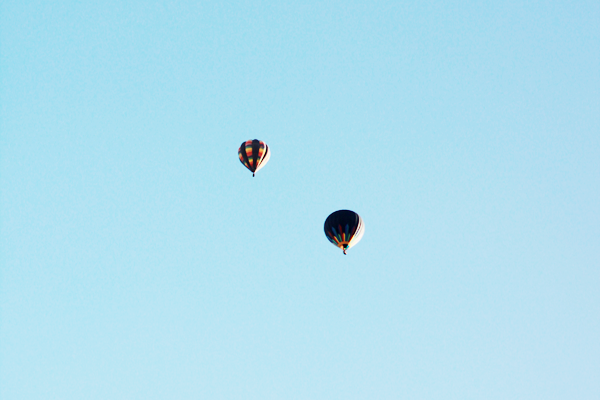 ), I found these hot air balloons rather fascinating. Seemed so "Arizona." 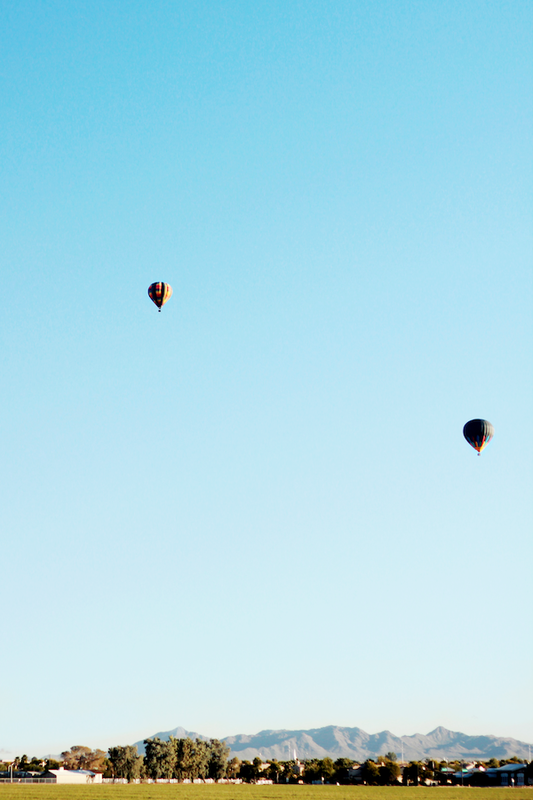 As we drove by, Aaron asked if I would ever ride in a hot air balloon. He already knew the answer I think, but I said yes anyways and told him that a hot air balloon ride would make an awesome, awesome Christmas present. He said he would never (fear of heights), so my chances of riding in a hot air balloon any time soon are looking pretty slim (as if they weren't already?). But who knows, maybe someday. **Wyatt slept through the whole excitement of Christmas morning, but after he woke up I actually did snap a few pics just with my phone of him watching his dad & cousin open his presents. I got him some new books. Christmas as a 2-month old is pretty thrilling.